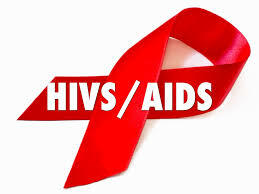 Prof. Francis Otunta, the Vice Chancellor (VC), Michael Okpara University of Agriculture, Umudike, in Abia state, has confirmed the discovery of a new drug for the treatment and cure of HIV/AIDS. Otunta told newsmen at the university campus on Wednesday that the finding followed years of scientific research by the institution. He said that the breakthrough was made by Prof. Maduike Ezeibe, a researcher in the university. According to him, Ezeibe had presented the drug to the University management, Senate and Council, where he explained the processes he went through to arrive at his finding. The VC also said that Ezeibe had equally presented the drug to his colleagues in the medical field and nobody had contradicted his finding. “Prof. Ezeibe is a researcher in Veterinary Medicine and one may wonder how he discovered a drug to cure a human ailment,” he said. He commended Ezeibe for the breakthrough, saying: “He has brought honour to the University and we are proud of him.” Otunta said that the university was in the process of mass producing the drug for further clinical trials on persons living with HIV/AIDS in the country. Ezeibe, who is a professor of Veterinary Medicine and Clinical Virology, said that the drug was produced with Aluminum Silicate and Magnesium Silicate (Synthetic Aluminum-Magnesium Silicate). He said that the two minerals “are already in use as medicines for the treatment of various animal and human diseases”. He said that 10 persons living with the disease, “who volunteered’’, were made to apply through their doctor to the VC. “They were treated daily with the Medicinal Synthetic Aluminum-Magnesium Silicate (50 mg/kg),” he said. Ezeibe said that the volunteers were subjected to monthly tests for viral loads and CD4-lymphocyte counts. “With the antiviral effects of the medicine, its ability to reach all cells (as nanoparticles) and the lymphocytes, there is no more hiding place (sanctuary) for HIV,” he said. He said that the medicine had been used to potentiate Ampicilin, Chloroquine, Piperazine and Sulphadimidin, among others, and could be a major foreign exchange earner for Nigeria, if approved by relevant authorities. According to him, “local and international pharmaceutical companies would find the product as a veritable raw material”. How to Join Illuminati for Fame and powers We Welcome any one how make up his hart desire to join the society, you must have good reputation to approve,E.g,politicians,pastors,business man or woman,celebrities,professional teacher,or working class,your talent must be connected to it as wall in other to welcome you to the great illuminati brotherhood society,after the due coronation to make you a full member,them it we enable us empower you with more wealth,with the POT of riches that we be given to you as well,what of billions of USD dollars,after them we back it up with powers,once we make you a full member,them you knows what we are talking about,that is the major reason why illuminati is only main for people who have good reputation to shows as well,any interested one should Email us on,illuminatiworldoder664@gmail.com for immediate answer call mr timothy on +2349035324155 or whatsapp him,again you must be above 21 years old.